Welcome to the official discussion thread for Mega Man 11 on the Switch! To start, please add this game to your log, add it to your collection (if applicable), and (when you are ready) rate it using the link above! Mega Man 11 just got a new trailer with a couple boss name reveals. Before, I was cautiously optimistic, but now I'm genuinely excited! So far, this is hitting the sweet spot of old+new for me--a breath of fresh air without going too far with it. The Viewtiful Joe-esque time power has potential, and the bosses look dynamic and fun. I don't even mind the voice acting this time around! Nefarious Kickstarter (with music by T-Bun)--slated for Wii U and others! - SUCCEEDED! I think the controls/physics feel pretty dang close, myself. They probably aren't 100% identical, and there's a little bit of an issue in the little mini-maze section where Mega Man's hitbox is a little too wide to easily jump in a gap, but I think it feels more natural than MM7 or 8 (or for that matter, Mighty No. 9) ever did. While it's missing a couple details, I appreciate the inclusion of new ones, such as falling dust telegraphing where blocks will fall, the ability to map Rush Coil and Slide to a button, and the subweapon stick selection. Gear system seems pretty okay to me, although it's not quite clear to me what the Power Gear really DOES. I know it improves your charge shot, but does it make your regular shots any stronger? I really like how the game doesn't require the gears to get by, but they can make sequences more manageable. The one big change I'd make is an option to hold them for activation rather than toggle--Viewtiful Joe style--since you're using them in quick snippets already. Pressing the button to turn it on and off within the span of a second feels a bit unintuitive. WHEN WE FINE DAT MEATY-AH, WE'LL FINE DOGTA WAWY! Yeah, I haven't moaned about that yet, but Mega Man's hitbox in general seems a little inconsistent or hard to determine where it actually is at times. That's another one on my list of grievances. Never quite figured out the power gear either, but I got the impression it makes everything stronger. Didn't use it a whole lot anyway, 'cause I like to play my Mega Man games relying on my fastest possible button mashing when it comes to the shooting, and I was pleased to see that I could power through the level like that, just as easily as I could with the charge shot. That part seems to be quite well balanced this time around, so I'll give some credit where it's due! The slow-mo gear is pretty useful for practicing certain jumps and dodges. I basically didn't use the power gear. Maybe it'll come in handy in some of the later stages, but I never felt the need to use it. Holding down the shoulder buttons for gear activation would be a nice option. P.S. I love Block Man's voice! Some of his lines made me laugh. You’re just another brick in the wall! Man, this game is awesome! It really feels like a new generation Mega Man game that doesn’t sacrifice what made the old ones great. I just tried the demo for the first time and got to Block Man. That’s where I died. But, I had a lot of fun playing. I’m definitely buying this one. Now I just have to play through the other Mega Mans first. I’m on Mega Man 3 right now. Still not up to par for me, but an insane improvement as far as I'm concerned. Hm, not crazy about either version so far. It's just too dance-y either way and doesn't have much going on in the way of a memorable melody for me. Maybe I'll like the piano version better? Apparently there's now a preorder promotion going on where you get piano remixes of the Robot Master themes. Not sure if this is for the digital version or just physical. I don't think the melody will get any better no matter what instrument you play it on. Like you say, it's a dance song (and not the most interesting song at that). But this arrangement is much better than what's in the game, IMO. Hope you like "limited bonus content!" Because by buying an "limited release physical copy" (or pre-ordering the digital version) you can get an alternate instrumental soundtrack option in the game. Fuse Man's theme is in 6/8! Is this a first for Mega Man music!? It’s ridiculous how much I love this game. And I’ve only played the Block Man level. I keep playing on different difficulties. Too bad superhero is locked on the bonus. This will be the first pre-purchase I do on my Switch eShop. It doesn’t hurt that imwe her that pre-order bonus with the music. Anyway, I really haven't been following the news much on this one -- I think part of why I loved MM9 and MM10 so much is I went full media-blackout on them -- but from what little I've seen it's looking good. This is going to be the first Mega Man I play where I don’t know the boss order since no one knows it. Reviews are up! It's doing about as well as you could reasonably hope. 'SUP, NERDS. JUST DOMINATING ONLINE AND WHATEVER. Ug available now? Really? I HAVE TOO MANY NEW GAMES. I might actually hold off a bit on this one. And Dark Souls, which is coming soon. Actually try to finish some of my games first. -BLOCK MAN is just like he was in the demo, but it's a good stage overall. Sort of an anemic soundtrack selection, but a nice long stage with a variety of hazards and a boss that throws some real surprises at you. His weapon is highly useful in many circumstances. We've all played this, so let's move on. -BLAST MAN is an early favorite for me. Not only is his song a bit more of a toe-tapper, but I love the theming of this stage! A theme park/movie set with rigged explosions and half-broken rides makes for some fantastically memorable platforming! Definitely a fresh take on the "bomb Robot Master" concept, although the fight itself was just a tad rote compared to Block Man. Still good fun. 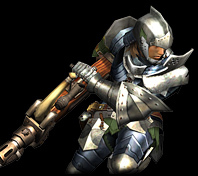 I find his normal weaponry to be on the weak side for how sluggish it is, but Power Gear blasts are huge and devastating. -ACID MAN was my third choice because water levels in Mega Man are usually fairly forgiving, but this stage was pretty brutal. Not only are there tons of unsafe platforming sequences, but the water sections involve lots of spikes and some truly tricky jump arcs. Despite this, I thought this was a memorable and enjoyable level, alternating between land and liquid to keep things fresh, plus the pipe mechanics giving a new feel to a classic theme. Cool mid-boss as well. Acid Man himself was slightly easier than I expected. A neat fight that gets just a tad trivialized from Speed Gear. Overall, this game's really hitting the action-platformer sweet-spot for me. The controls and level design are excellent, and even though it seems to be the usual short Mega Man title, there's lots of replay in the extra achievement dealies and the huge array of little Challenge Missions. The vast array of permanent upgrades in the shop help the game feel a bit more like MMX in terms of getting stronger over time. The gear system has been a nice addition and the boss weapons so far are lots of fun to use. I love the extra little enticing elements to make me want to use boss weaponry other than my Mega Buster, too--easy switching between weapons with the stick, and that crazy purchase-able part that gives every weapon some energy when picking up energy pellets. Try it out! Where are you guys? It's Mega Man! EDIT: Oh, but despite preordering from Best Buy, I never got my soundtrack! What the heck do I have to do to get this? It's not in my email or on my receipt from what I can tell. Digital in-game preorder bonuses are stupid. Put in about 2 hours or so since I got it. The stage designs have been so much better than Block Man's it is crazy. Really loving it. Made it into the official discussion thread.